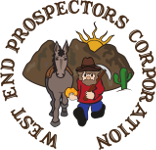 May 2018 Outing at Coolgardie | West End Prospectors Corp.
May 2018 Outing, Coolgardie, Yellow Gopher Claim, Memorial Day weekend, May 26, 27 & 28, 2018. Bring Firewood and 2018 Fire permit. Bring potluck food for Saturday night potluck at 5:30 PM.